In 1912, Arturo Hernandez-Mejia invented what possibly was the first subtractive method of natural color motion pictures, using simultaneous red-sensitive and green-sensitive negative stocks that alternated exposure. 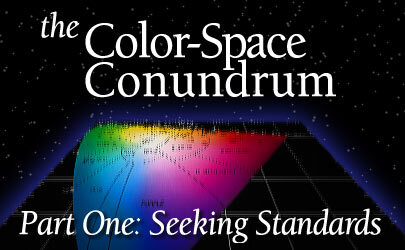 Whereas red, green and blue light are added to form colors in the additive process, the subtractive color process uses the primaries’ complementary colors  yellow (equal parts red and green), cyan (green and blue) and magenta (red and blue)  to subtract wavelengths of white light, passing the red, green and blue wavelengths. RGB is captured and stored as various amounts of cyan, magenta and yellow colorant. Because it wasn’t prone to additive-process problems, the subtractive YCM process eventually became the de facto standard for motion picture film, and so did the inversely arranged CMY color space (see diagram a and diagram b). Technicolor was the leading color company for about 20 1/2 years. MIT alumni Herbert Kalmus and Daniel Comstock, who put the “Tech” in Technicolor, worked with W. Burton Wescott and William Coolidge to develop Technicolor Process Number One (1915-16), Two (1921) and Three (1926). All three processes exposed two strips of panchromatic film in a special camera using a prism to create red and green “records.” The first process was additive, but the second and third were subtractive. The third used the dye-transfer or “imbibition” process to create positive gelatin relief images that yielded rich colors when printed (see image series). However, because only two records were recorded, the two-strip process didn’t reproduce certain colors and some colors were inaccurate, which audiences didn’t buy. In 1930, when Hernandez-Mejia’s patents became available, Technicolor scooped them up in order to secure the company’s unique process. In 1932, they turned their two-strip Process Number Three into three-strip Process Number Four (see diagram). This process had three true RGB records, accomplished in-camera by joining two prisms of optical glass together to form a cube beam splitter and utilizing one monopack panchromatic (or possibly orthochromatic) film of increased green sensitivity with a green filter to take a green record and one bipack of blue- and red-sensitized panchromatic films (two emulsions facing each other and sandwiched together with a yellow filter layer between them to absorb blue and pass red), in which the first emulsion records the blue layer and the second records red. Three-strip was used for color sequences in the predominantly black-and-white 1934 features Rothschild, a French film, and Cat and the Fiddle, shot by a team of ASC members: Charles Clarke, Ray Rennahan and Harold Rosson (see image). (Rennahan did the Technicolor portion.) Also in 1934, Kenneth MacGowan produced a two-reeler, La Cucaracha, shot by Rennahan, to show off the capabilities of the three-strip process. But 1935 saw the release of Becky Sharp, the first feature film in three-strip Technicolor (see image). This project has long been considered a landmark in color motion pictures, not because it was a box-office success (it wasn’t), but because it showed how color could be used for dramatic and emotional effectiveness (thanks to Ray Rennahan’s handiwork). That same year, Eastman Kodak introduced single-strip, multilayer 16mm Kodachrome emulsion  no special camera needed. It was for amateur use, but for Technicolor, the writing was on the wall, in color: single-strip color film would be the future (see diagram). To survive, Technicolor actually entered into a profitable partnership with Kodak in 1934  the Monopack Agreement  to adapt Kodachrome for 35mm use. By 1941, Eastman and Technicolor had multilayer film stock known only as Technicolor monopack that could be used in standard black-and-white cameras, but the results did not equal three-strip. The monopack coupled with the imbibition process resulted in Technicolor Process Number Five. In 1950, single-strip Eastman Color Negative Safety Film 5247 with an E.I. of 16 and Color Print Film 5281 were released, revolutionizing the movie industry and forcing Technicolor strictly into the laboratory business. From 1894 through 1961, more than 100 additive and subtractive color processes were developed for the motion-picture industry. Obviously, not many lasted. Of all those companies, Kodak and Technicolor were the driving forces in the developments of motion-picture films and development and printing processes. Because there were so few “cooks in the kitchen,” the motion-picture photochemical film system has become consistent in performance, with repeatable results. Another factor is that the system is a “closed-loop system.” That is, images begin on film and end on film. Getting from beginning to end, images stay on film. With emulsion being the common denominator, a film stock can be exposed the same way in any 35mm camera; all labs have the same chemicals needed for development; photochemical color timing is done the same way with the subtractive CMY process and printing is accomplished via the additive process (though, unlike in the television and electronic worlds, no color-space transform occurs here because CMY and RGB model the same thing in terms of light); and a reel of film will unspool on all projectors (see diagram). Certainly, there can be variances. A film stock’s characteristics can vary a little between runs. The chemical soup in laboratories can affect a negative if it’s mixed improperly or changes temperature. Even a negative run through the bath before your film can affect your negative. Variations can also be caused by differences in the bulb brightness of individual projectors. But, over the course of time and experience, these kinds of discrepancies have become easy to trace, and they can be either ameliorated or subjected to compensation. The only intangible is human perception. Film records what it literally sees. Humans can adjust their white point; film cannot. To film, a white piece of paper under candlelight is orange. But for all its minor faults, the film system works because it remains consistent, and the results are repeatable with no color-space transforms taking place. Motion-picture production has enough headaches as it is.